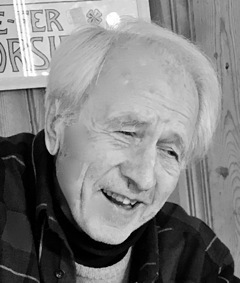 This Book of Memories memorial website is designed to be a permanent tribute paying tribute to the life and memory of Jules Eberhard. It allows family and friends a place to re-visit, interact with each other, share and enhance this tribute for future generations. We are both pleased and proud to provide the Book of Memories to the families of our community. Condolence: We met Jules through the 55-plus Club at Smugglers Notch. He was an enthusiastic, warm and dedicated leader. We also appreciated his strong support in our successful drive to achieve the passage of Vermont's end-of-life choice law. My sincere sympathy to the family on your loss of a truly special person. Condolence: I'm very sorry to hear of Jules passing. He was a wonderful man. My thoughts are with you and your family. I am so sorry to hear about Jules. He will always be remembered as a wonderful man, kind, caring and a friend to all he met.